zompist bboard • View topic - What do you call this? Post subject: Re: What do you call this? In my variety, I'm not sure whether 'electric torch' is the primary meaning of torch per se, but in practice, when somebody around me says torch, that is what they mean. For me, the thing in the picture is just another kind of torch and more specifically a fire torch. If I couldn't call that a "torch" (which is my first instinct as an American), I'd call it a "firebrand". A "firebrand" for me is almost always a person. I might also consider calling the thing in the picture a tiki torch. That's less likely, though, because while I've heard the term several times, I've never been entirely sure wtf it is. They're distinguished not only by the ornamentation at the business end but also by having a spike on the far end so they can be set upright in the ground and not have to be held or secured to a wall. So called by the metaphor that fire-is-emotional, and taking the term from the term for something burning. In other astonishingly obvious etymological news, a "wet blanket" is named from the practice of using cloth blankets impregnated with water to put out fires lit by firebrands of either sort. "...wait...what?? Also, you can talk?" well... it's a torch. i dunno what you were expecting. Tiki torch. That name being especially present in the us media after the white supremacist attacks in Charlottesville, va. The first one, I'd call a torch. If I had to disambiguate, I might say "burning torch" or the like. The alternative word would be brand, but this is more specific. A brand can't be too short, for instance. The second is either a torch or if it's oil-based then possibly a lamp (on a stick). It probably couldn't be a brand, and certainly couldn't be one if it's oil-based: a brand has to be a burning stick (wrapping it in cloth, possibly impregnated with oil, is OK, but if it's a wick out of liquid oil then that's not a brand). An alternative might be along the lines of "(outdoor) heater", depending what it's used for. But I've never seen anything like it, so to be honest, "what's that?" would be my most likely option. 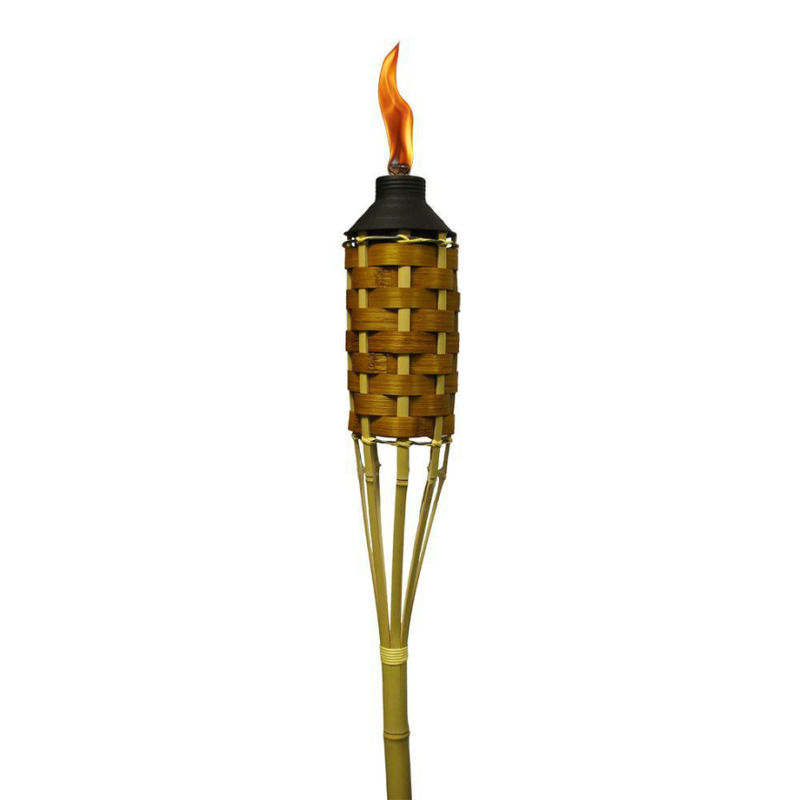 I'm only familiar with "tiki torch" in the sense of "torch wielded by white supremacist mob", and have no thoughts about function, construction or appearance beyond that. Something along the lines of Sal's response, if I'm honest. This somewhere between a "How do you pronounce this?" and "What do you call this?" question. In my high school, you would sometimes hear affective pronunciations of the initial cluster /st/ as /ʃt/. For instance, you might jokingly call someone named "Steve" [ʃtiɪ̯v̥] or even [ʃtəɪ̯f]. (Obviously there's more than one affective modification being applied here.) The most common one was "shtuff". I thought it was just a local thing but today in a meeting I heard one of my colleagues (a Michigan native) say "shtuff". Have you ever heard such a pronunciation before? If so, where was the speaker from? I think that's fairly common - I have definitely heard and said [ʃtʊf] for stuff before. I have heard "shtuff" before here myself. EDIT: In Mutts. It's apparently in Urban Dictionary, too. What do you call this sort of container? A cookie tin. Even if there are no cookies. I too would simply call it a tin. A container, or in Malayalam, [ˈpaːt̪rəm]. I would use these words for all(?) other containers as well. I would also use [ˈpaːt̪rəm] for a plate. Both I and my brother-in-law agree that it is either a tin or a cookie tin, depending on how precise one wanted to be. Though when talking about doing things with it, it would also be one of those cases of synecdoche where we'd use the contents of a container to indicate the container along with its contents. For example, "please bring the cookies downstairs". I would call it a tin or a tin of cookies, but I might just refer to the whole thing as just cookies. I have definitely heard and said [ʃtʊf] for stuff before.